The City of Beverly Hills, California, has decided to create a program to use autonomous vehicles as public transportation, saying it will increase safety and mobility for everyone. City council members voted unanimously for the program, Scott Collie wrote for Gizmag. James Vincent wrote for The Verge that Mirisch discussed his plans for a fleet of autonomous cars in an op-ed for the Los Angeles Business Journal last June. 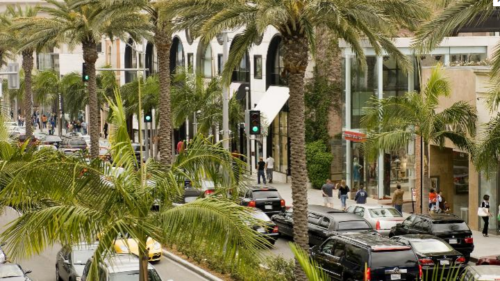 The City Council points out that Beverly Hills is well suited to this type of transportation due to its temperate climate, well-maintained roads, and compact size (5.7 square miles). Trying to park in Beverly Hills, California, can be a bit of a nightmare, whether it’s sandwiching your car between two vehicles that cost more than your house or just trying to find a space in general. Mirisch says that a fleet of public self-driving vehicles will lessen the need for private cars, reducing the need for parking spaces. Autonomous vehicles will also make it easier for disabled people to get around. The way the City Council envisions the program, self-driving shuttles would arrive on demand, with people requesting rides via smartphone apps. In the first phase of the program, the city will explore partnerships with autonomous vehicle manufacturers, such as Tesla and Google. The city also plans to work with policymakers and regulators to develop a white paper detailing the program. Beverly Hills is in the process of designing a citywide fiber optic cable network that will provide connectivity to smart cars of the future, as well as to all businesses and residents. The city will hold a public summit in the fall at the Wallis Annenberg Center for the Performing Arts. The event will include talks by autonomous vehicle experts, demonstration rides, and panel discussions. For now, the self-driving public transportation program can be called MASS, for Municipal Automated Shuttle System.